PUTRAJAYA: The entry of a major Chinese carmaker into Proton Holdings Bhd will not only ease its financial woes, but also bring fresh capacity to the group’s underutilised factories. 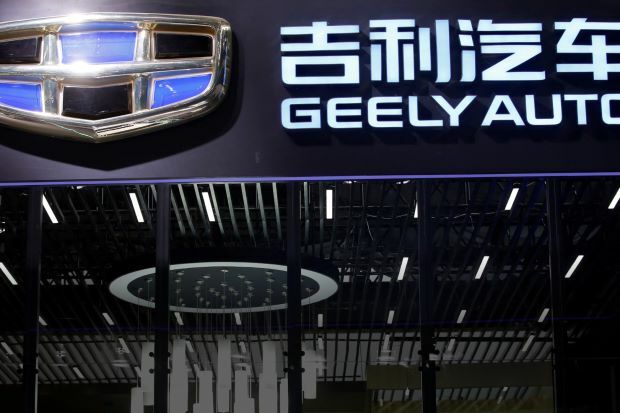 Zhejiang Geely Automotive Co Ltd plans to turn Malaysia into its global hub to manufacture all of its right-hand drive cars, including its premium Volvo brand. Geely will take a leadership role in production, sales and marketing. Proton will be responsible for distribution of the brand in Malaysia. These were among the highlights mentioned at the signing ceremony in Putrajaya between DRB-Hicom, the parent company of Proton, and Geely. 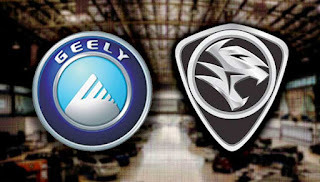 Proton and Geely yesterday signed an agreement that would see Geely take a 49.9% stake in Proton. Both parties have not finalised the price Geely would pay for the stake. Through the partnership, Geely executive vice-president and chief financial officer Daniel Li said Geely would focus on assisting Proton to sell 500,000 cars in Malaysia and around the region by 2020. He said Geely would be contributing technology, talent and money to Proton. These include platform-sharing that would see the development of Proton’s first-ever SUV model from Geely’s best selling model – the Boyue. DRB-Hicom group managing director Datuk Seri Syed Faisal Albar said in the competitive automotive industry, partnership among carmakers globally was common. A partnership would also further expand Proton’s reach to other markets and give it better economies of scale. 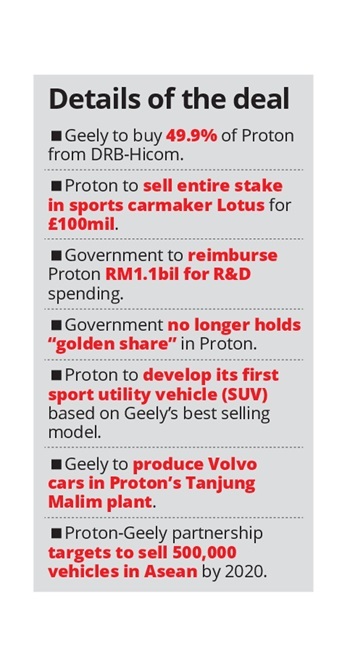 “This partnership with Geely will create more jobs in Proton,” he told reporters yesterday. Proton has a workforce of about 10,000 which produces about 100,000 cars a year. In 2016, sales of Proton cars dropped 30% to 72,290 units from 102,174 previously. The company reported a loss of almost RM1bil last year. Proton’s Tanjung Malim plant, which is designed to produce a million cars every year, will be made a new manufacturing hub for Geely. Syed Faisal said Proton would relocate its entire production from Shah Alam to Tanjung Malim within five years. Despite the entry of a new foreign partner, Proton will maintain its national car status. This means its industrial linkages, including vendors and dealers, will not be affected by the change in shareholding. Under the heads of agreement signed between DRB-Hicom and Geely, the Chinese carmaker will take a 49.9% equity interest in Proton and also a controlling stake in Lotus, the British sportscar maker, from Proton. No financial details were disclosed in the sale of a stake in Proton, while for Lotus, Geely would be paying £51mil (RM284mil) for a 51% stake in Lotus. Syed Faisal said DRB-Hicom planned to sign a definitive agreement with Geely in July. Also present at the signing ceremony was Second Finance Minister Datuk Seri Johari Abdul Ghani, who clarified that with the partnership with Geely in place, Proton would need to repay its RM1.25bil soft loan from the Government. As part of the conditions for the soft loan, Proton was required to collaborate with a well-known strategic partner. The requirement to collaborate with a well-known strategic partner was imposed on Proton as part of the conditions issued by the Government for its approval of the RM1.25bil soft loan to Proton, in which a bulk of the money was used to pay its vendors. Separately, Johari said Proton was entitled to a RM1.1bil reimbursement from the Government for its RM3.5bil spent on research and development in the past. Johari also said there would be no more “subsidy” for Proton from now on, and that the Government would no longer have a golden share in Proton with Geely entering into a partnership with the national carmaker. 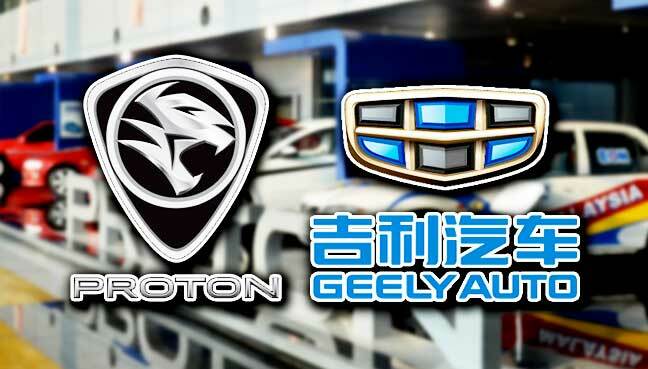 IPOH: The decision by Proton to embark on a partnership with China’s Zheijiang Geely Automotive Co Ltd is timely because cars are predicted to be next in line to undergo sweeping innovations. International Trade and Industry Minister II Datuk Seri Ong Ka Chuan said that in light of Industrial Revolution 4.0, bringing in Geely as Proton’s strategic partner would ensure the Malaysian company’s survival as cars increasingly adopt digital technology. Industrial Revolution 4.0, or Industry 4.0, is the current trend of automation and data exchange in manufacturing technologies which include cyber-physical systems, the Internet of Things and cloud computing. “After attending the Hannover Messe, the world’s biggest trade fair for industrial technology, I learned that self-driving cars are the next big thing. “This means that you are looking at a future where cars will have no steering wheel. “With just the touch of a panel, the car will bring you to your destination,” Ong said after witnessing the swearing-in of the new committee of the Perak Chinese Cemeteries Management Association yesterday. He said Geely would be Proton’s channel to embracing technological innovations. “I’m not saying to expect Proton to be a frontliner in this, but at least with a strategic partner it can move along with the times,” he added. 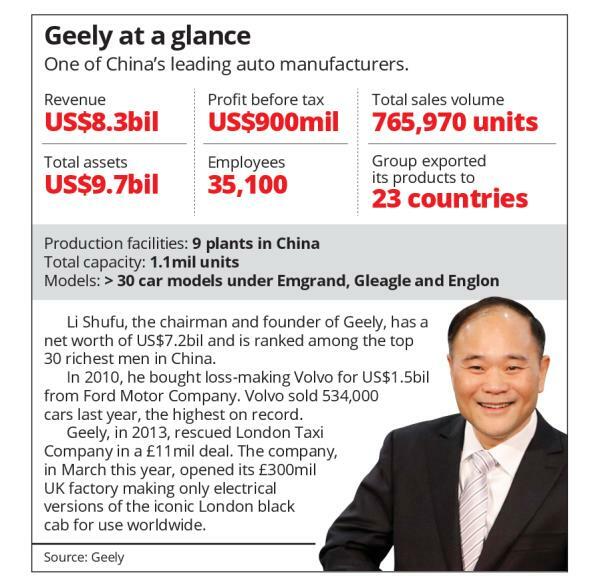 He said Geely would also open a new market for Proton, which was important for the national carmaker’s survival. He said it was not a decision made purely in favour of China. “Over the years, it’s been no secret that Proton accumulated losses and will need a big market to cater to in order to settle all the debts. This is the reality. “Proton only narrowly met its sales target of 580,000 units last year, while Chinese brands sold 28 million units,” he said. In view of its small volume, Ong said it would be difficult for Proton to fund sophisticated research and development initiatives. “We need a larger market for things to work out. The Industrial Revolution 4.0 is all about innovation. We can’t do it ourselves, which is why working with advanced nations is our best bet,” he added. 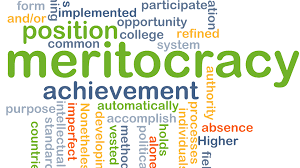 Malaysia's Civil Service big size, attractive emoluments and benefits for our own good? Cars are more expensive than houses? A house can buy how many cars? Another big fish nabbed for corruption, graft rampant and serious!